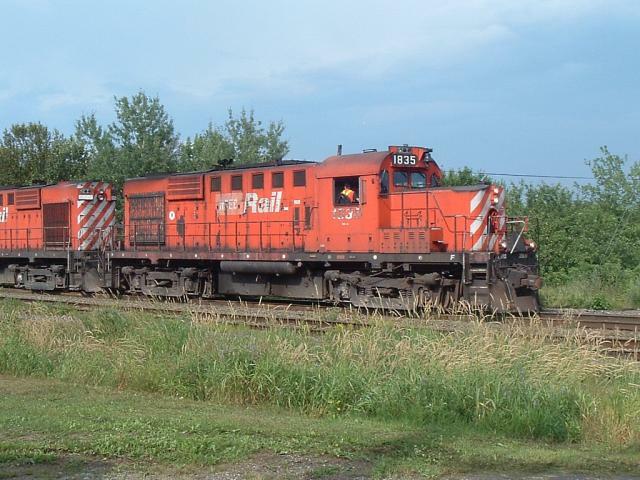 NBEC 1835 is an MLW RS-18 purchased from Canadian Pacific. It was in Montreal in the summer of 2001 to have its compressor repaired. 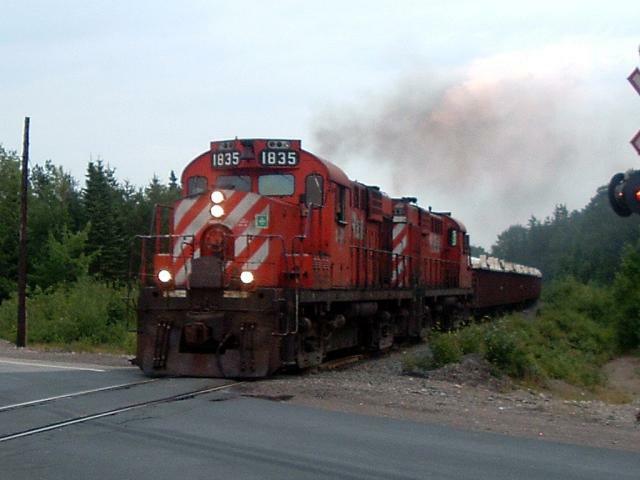 It was reported in November 2010 that ex-NBEC 1835 was sold to the Adirondack Scenic Railroad, along with NBEC 1845. 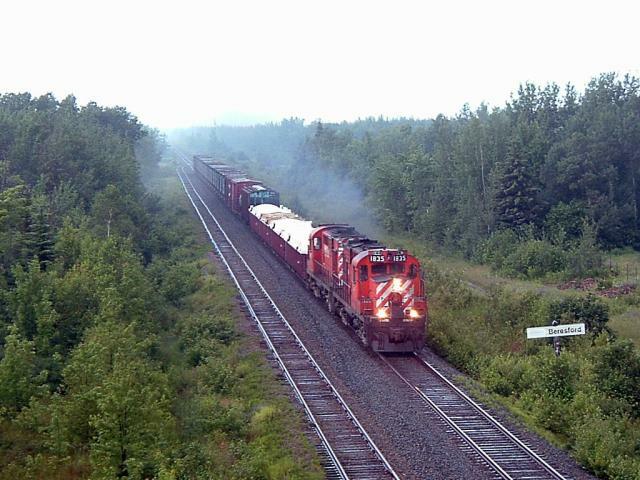 NBEC 1835 at mile 3.89 on the Nepisiguit Subdivision, 2006/07/17. NBEC 1835 leads empty ore train NBEC 587 through Beresford on July 17, 2006. NBEC 1835 in Bathurst on July 17, 2006.